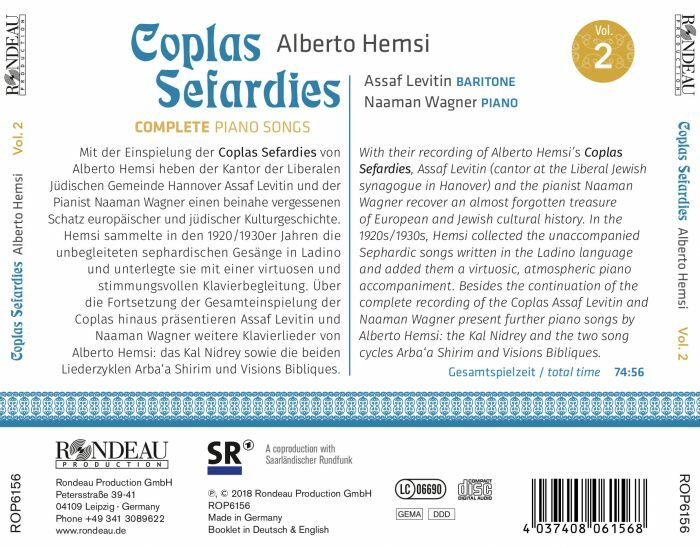 With their recording of Alberto Hemsi’s Coplas Sefardies, Assaf Levitin (cantor at the Liberal Jewish synagogue in Hanover) and the pianist Naaman Wagner recover an almost forgotten treasure of European and Jewish cultural history — just in time for the composer’s 120th birthday in 2018. 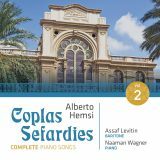 Hemsi has been understood as a passionate guardian and advocate of Sephardic folklore and its musical tradition. For years he gathered together many texts and melodies of this Jewish people which had lived in Spain until around 1500 before being dispersed throughout the Mediterranean after their expulsion from the Iberian Peninsula. Hemsi collected and notated the monodic, unaccompanied songs and added to them a virtuosic, atmospheric piano accompaniment. 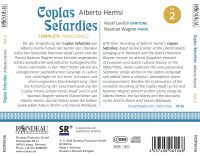 Assaf Levitin and Naaman Wagner hereby present the second CD of the very first complete recording of Alberto Hemsi’s Coplas Sefardies. 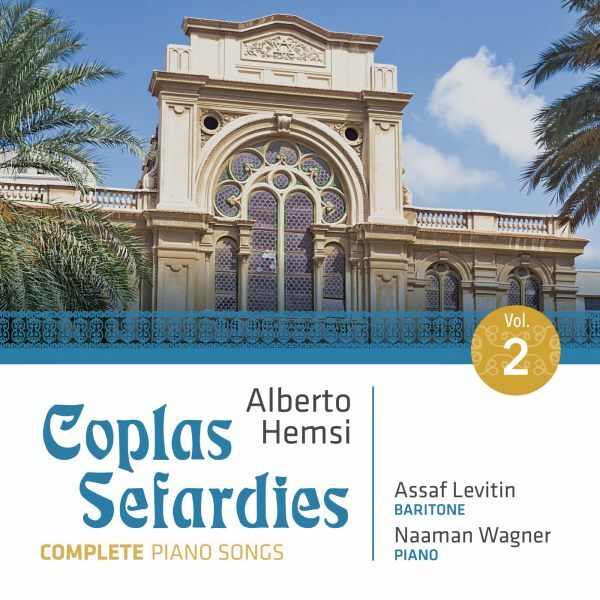 In addition, as part of the complete recording of all piano songs, they present Hemsi's settings of liturgical and paralliturgical texts in the Hebrew and Aramaic languages: the Kal Nidrey and the two song cycles Arba'a Shirim and Visions Bibliques.